I love well made dog collars. There is something about them. It’s like getting that perfect bridle for your horse. The one that is a little bit special when you put it on and shows off all your horse’s best features. Or to put it in non-horsey terms, it’s like that dress that clings in all the right places and drapes in the others. Anyway, however you choose to explain it, a well made collar is really one of my favourite things. Rory has an extensive collar collection (but shh don’t tell anyone). I’ve been looking at them, and I have narrowed them down to my top three. Unfortunately I haven’t had the opportunity to take his photo in the collar that I have placed in the number one spot. It will follow once I have daylight, I promise. 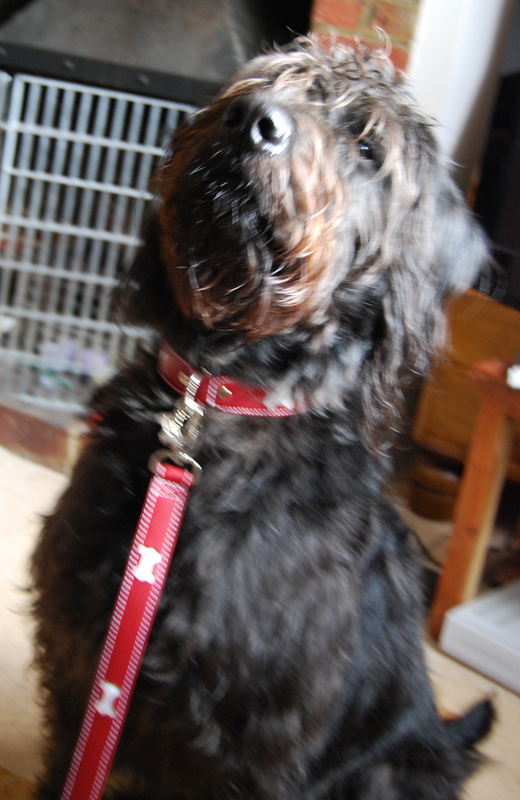 Coming in at number three is a lovely red Hamish MacBeth collar (pictured below). Their collars are reasonably well made, very pretty and come in various designs, including what can only be described as doggy neck facinators. Head on over to their website to see what I mean. There are also matching leads available for most collars. 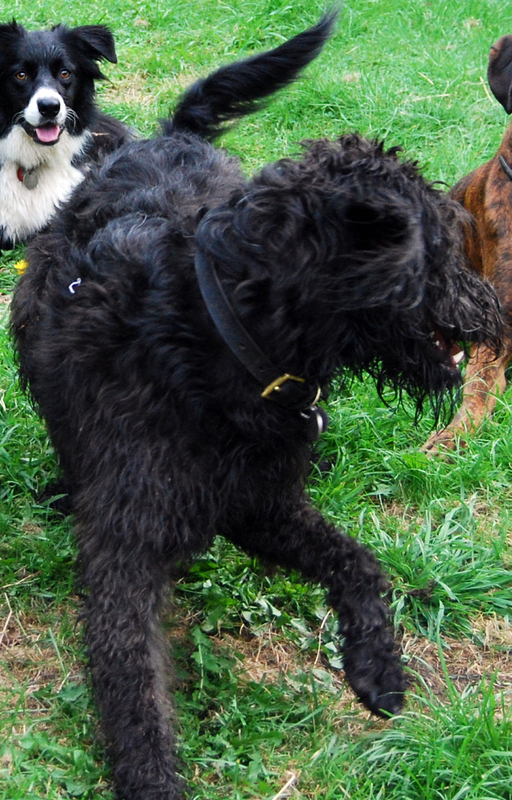 Unfortunately the site does not accept Maestro cards so I ordered instead through a UK online supplier, Just Dogs. Delivery was super quick and Rory even got a free treat! A word of caution, these collars may not be suitable for very strong pullers. Rory has not broken his, but then it has only really been used off lead and i’m not convinced it would not break under extreme pressure. I paid approximately 25 british pounds for the collar in the sale, and about 15 pounds for the matching lead, if memory serves me correctly. Definitely a worthwhile buy. In second is the Dogs&Co leather collar (pictured above). This is Rory’s ‘everyday’ collar, and as such it has taken a beating. Mud, rain, snow, bog, river, lake, sea and fox poo have all been taken in it’s stride. It even survived the very strong disinfectant I threw it in after a particularly sticky, disgusting, rolling-in-faeces incident. It really has lasted without any real ill effects; it hasn’t even stretched that much (amazing for a leather collar). It has a pattern pressed into the centre, a manly one I add, which adds interest. I paid approximately 17 pounds for it at Badminton Horse Trials last year. I certainly love mine. I purchased both of Rory’s Holly&Lil collars for approximately 50 pounds from the sale section of the Holly&Lil website. Both have a recommended retail price of nearer 100. I can’t help feeling my dog is missing out by just having the one (old and tatty) collar. She is clearly the uncool dog in the playground!